I love this collection. 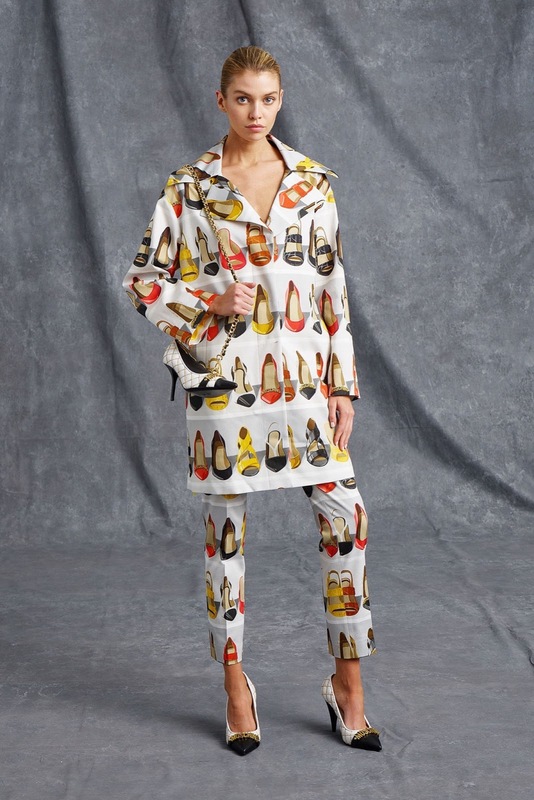 I absolutely love this collection … and Jeremy Scott as a designer. He's incredible, and as I have previously said in other posts about Moschino, he is a complete breath of fresh air and fun within the fashion industry. 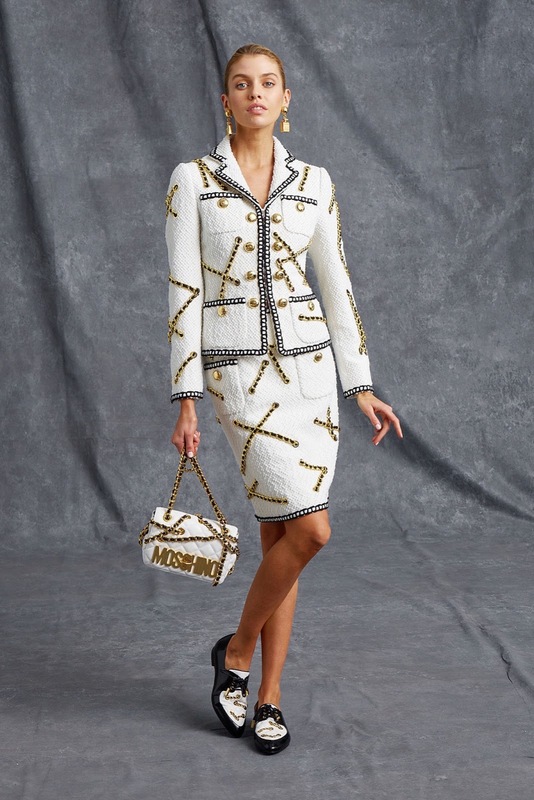 Everyone anticipates Moschino collections, and I think that's so important and credible. Stella Maxwell took the stage with this Resort collection as the face of it. She looked incredible in everything. 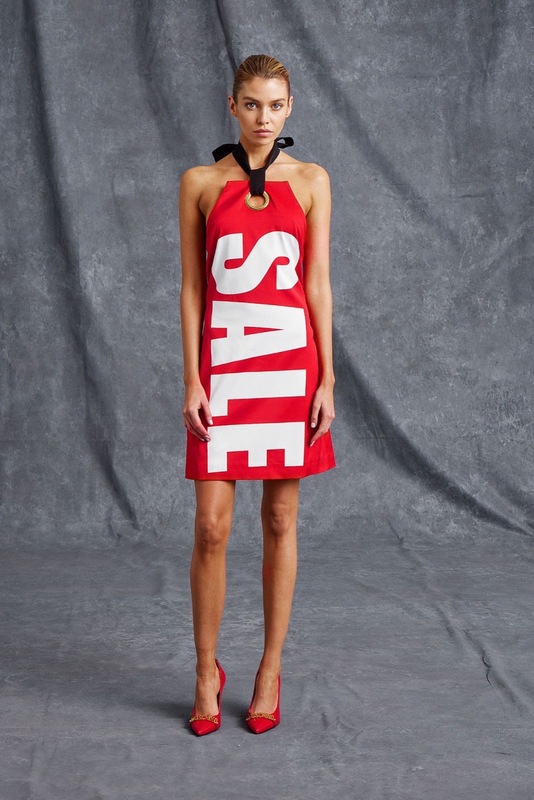 Who knew you could look good in a sale tag? Amazing! 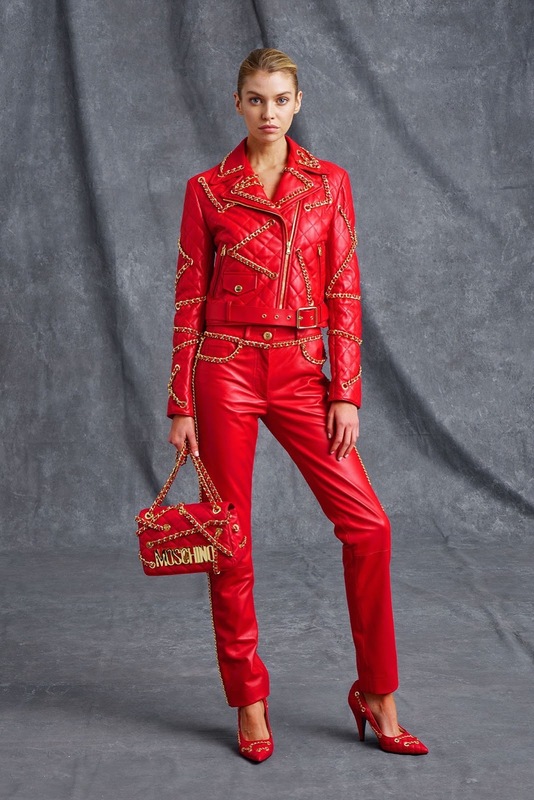 It was recently revealed that the company, Aeffe, who own Moschino - is investing more in Scott's namesake brand, which clearly shows that his influence in fashion is being noted and recognised. 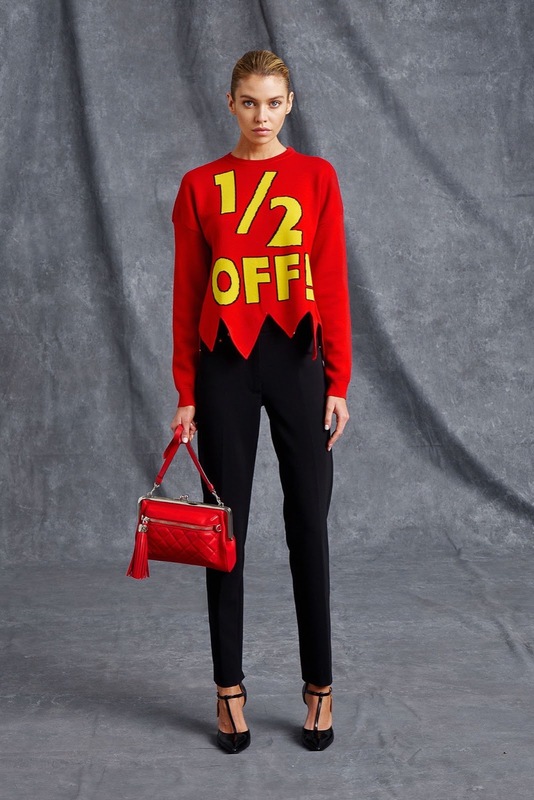 His muse for this collection has definitely come from the birth of the new Moschino store unveiled in Soho, New York. A lot of his influence has come from features of a shop floor, aswell as dollar signs. This collection has to be one of my favourites. This collection had taken Scott's tongue-in-cheek attitude to a whole new level, and it really worked. 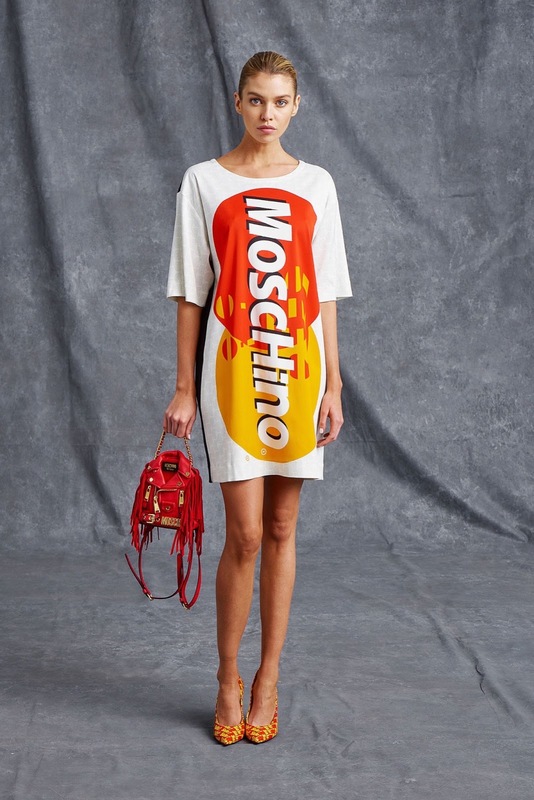 Moschino is for the women (and men!) who are fun and carefree. Those who love to make statements with their clothes - will be so glad to see this collection; thats for sure. 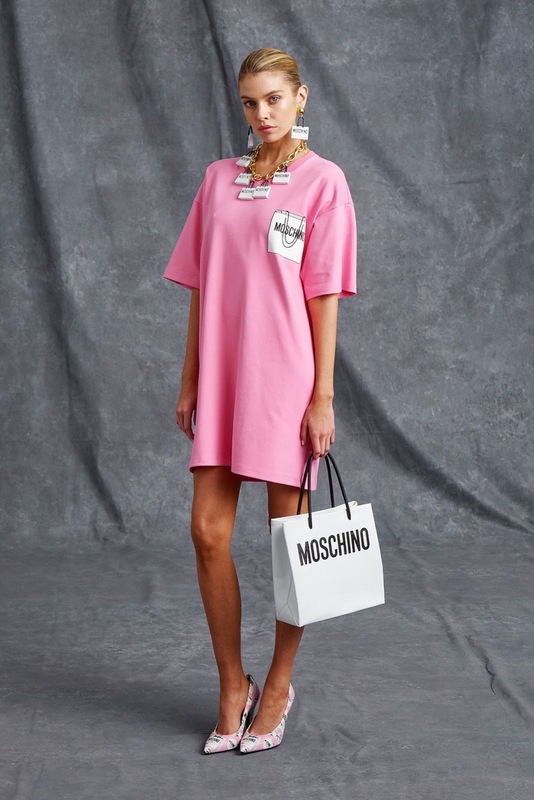 Aswell as his new ideas being incorporated into this collection, Jeremy Scott did fall back onto his initial ideas that we saw when he first stepped up as the Moschino Creative Director, which had been featured in his previous creations. These include the quilting, gold chains and bright tweed and colours. It was all there. This collection is going to definitely create a stir compared to the other collections and it makes me SO excited to see the SS16 Womenswear set. 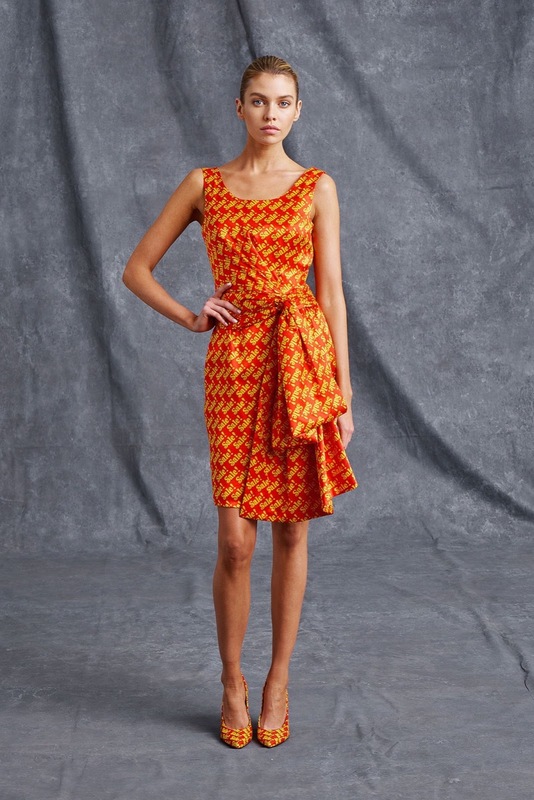 After all, this collection had sales and commerce on the mind.